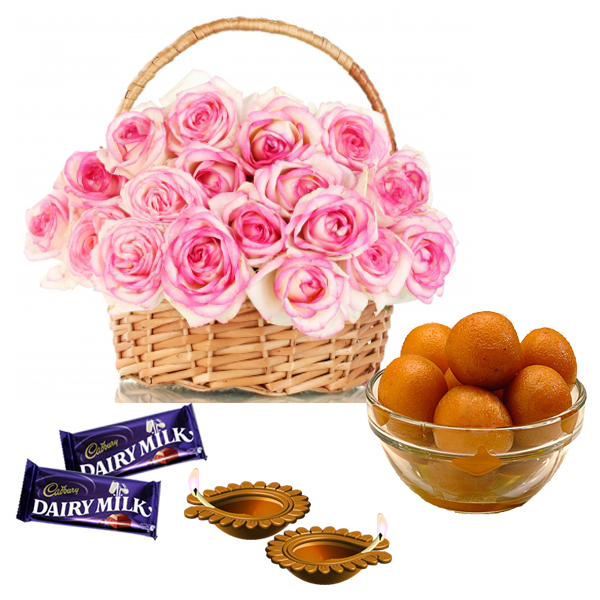 Product Consist : Basket of 25 Pink Roses with Gulab Jamun (Weight 500Gms) and 2 Cadbury Dairy Milk Chocolates Bar (Weight : 13 Gms) along with 2 Earthen Diya. 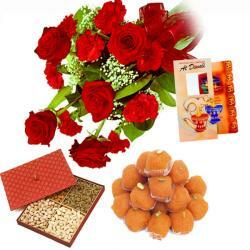 This is a Special Diwali hamper which is ready to pamper your dear ones with its mind blowing contents. This sweetness filled hamper contains special items to make anyone joyous. 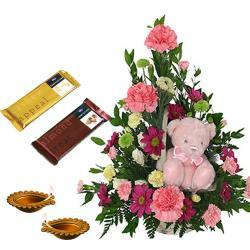 It includes traditional Diya, Cadbury Dairy Milk Chocolate along with Gulab Jamun sweet with Bouquet of 25 Pink Roses . 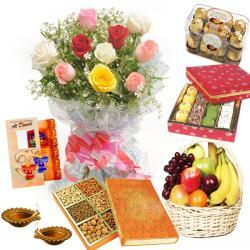 This hamper is full of tasteful items and it is all set to spread sweetness in your dear ones mouth and heart. 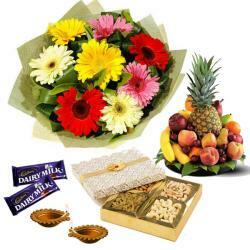 Send this exciting gift hamper to your dear ones and make them a reason to smile. Product Includes: Basket of 25 Pink Roses with Gulab Jamun (Weight 500Gms) and 2 Cadbury Dairy Milk Chocolates Bar (Weight : 13 Gms) along with 2 Earthen Diya.